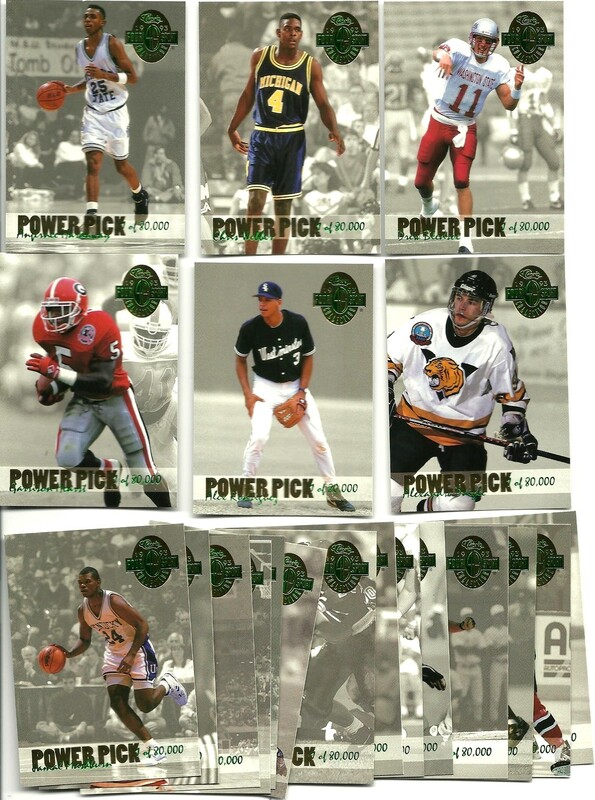 Complete set of 20 1993 Classic 4-Sport Power Pick insert cards, including Chris Webber, Penny Hardaway, Toni Kukoc, Jamal Mashburn, Drew Bledsoe, Jerome Bettis, Garrison Hearst, Alex Rodriguez and Chris Pronger. Only 80,000 sets were produced. NrMt-Mt or better. ONLY ONE SET AVAILABLE FOR SALE.